The day started at a chilly -17 degrees, but that didn’t get in the way of Jenn Pietranczyk’s plans. She had a date to help Colorado legislators understand the value of self-advocates having meaningful employment, and she wasn’t about to let anyone down. Thanks to The Arc of Colorado, Jenn, her mom Helen, and nearly one hundred other people attended a Legislative Luncheon held at the First Baptist Church in Denver on Wednesday, February 2nd. Forty-six legislators responded they would be there and nearly that many braved the cold to attend. The balance of the attendees were Arc families, staff and volunteers from around the State, including some from as far away as Mesa, Pueblo, and Weld and Larimer Counties. The purpose of the luncheon was to introduce legislators to The Arc as a resource; we wanted to help them get to know who we are and what we do, and get to know them as well. The event was designed to create a very positive, social atmosphere where relationships could be formed and strengthened, and by all accounts, it was a rousing success. Representatives Jim Kerr and Sue Schafer of Jefferson County took time out of their busy schedules to have lunch with Jenn and Helen, as well as The Arc in Jefferson County’s president Deb Karsell and Executive Director Lori Ropa. It was a great opportunity to introduce these legislators to some of their constituents who could speak first-hand about the hopes and dreams of people with developmental disabilities. We truly appreciate them making the time to visit with us and look forward to working together to make positive changes for all Coloradans. Just after lunch there was a short presentation opened by Wendy Rosanova, President of The Arc of Colorado Board of Directors. 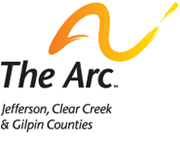 Wendy gave a brief overview of The Arc and helped the attendees take a peek inside our world. 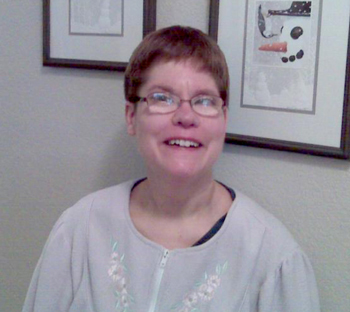 Marijo Rymer, Executive Director for The Arc of Colorado, followed her and shared a very moving letter from the mother of a child with a developmental disability on the Western Slope who was unable to be there due to the challenging weather. The highlight of the afternoon was when our own Arc in Jefferson County members Jenn and Helen Pietranczyk stepped up to share Jenn’s story. Helen spoke first and explained that they moved to Colorado from New York, and upon arriving, were astounded by the lack of services available here. After several years, Helen found a position for Jenn with Shalom Denver labeling and stuffing envelopes in their lettershop. Jenn did very well and made friends at the workshop, but it was clear that she had more skills than she was utilizing. Springing into action once again, Helen connected with arcThrift stores and learned of a position at the Littleton location. Jenn interviewed and got the job and has been happily employed there for more than a year. While she still works two days at Shalom Denver, it’s her work at the Thrift Store that lights up her face. Helen shared that Jenn’s work at arcThrift has provided her with far more than a job; it has given her a chance to learn how to interact appropriately in an employment situation, has improved her social skills and has provided her with life skills that continue to help her become more independent every day. Then it was Jenn’s turn. Confidently, Jenn talked about how much she loves her jobs, especially the one at the arcThrift store. She shared that she works there three days each week, and told the crowded room how much she enjoys helping the customers. She smiled broadly when she said that customer service is “the most fun part” of her job, and she meant every word of it. And at the end of the day, Jenn likes to go home knowing that she helped people with whatever they needed. She also likes the fact that she has some disposable income and can buy things that she wants, just like everyone else. I can’t think of a more powerful way to help our legislators see how dramatically lives can change when people are given the opportunity to contribute to their communities in a meaningful way. Jenn’s story was real, and very personal. As these legislators make decisions that will affect employment for people with developmental disabilities, I am confident that they will remember her words and her smile.